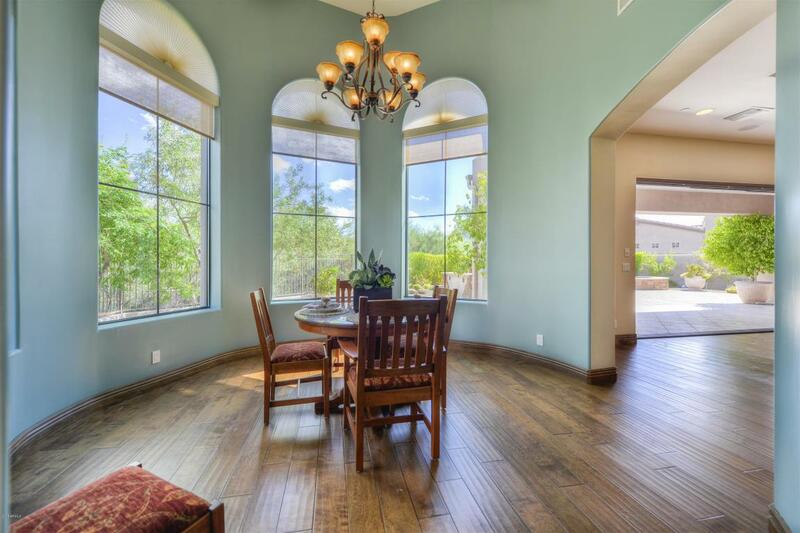 Located in the gated Golf Community of Quisana at Troon North. Meticulously maintained, elegant but casual lifestyle. Enter thru a Private gated courtyard w/gas FP. Desirable open great room plan featuring a gourmet kitchen w/slab granite counter tops, SS Jenn Air gas cook top , dbl ovens & wine cooler. Island & Breakfast Bar & Area. 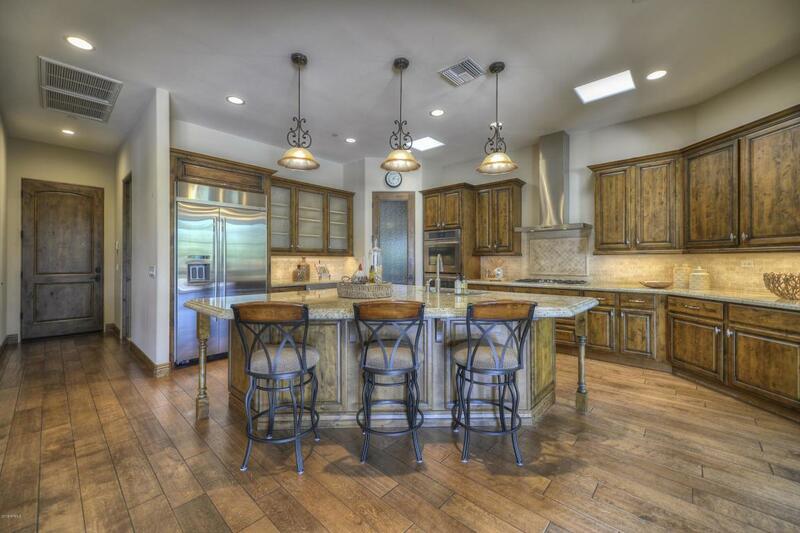 Kitchen open to great room w/dec niches, ent cabinets, gas fireplace & Surround Sound w/speakers In/Out. 4 panel retractable sliding doors. Separate, office wood floors & new carpet in Bedrooms. Master Suite w/Fireplace & access to back patio. Dual vanities, soaking tub, & walk in closet. 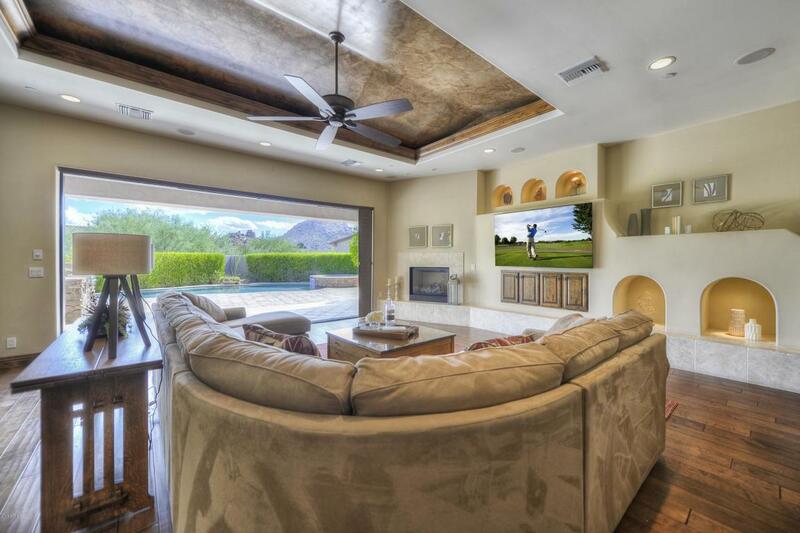 Private Resort backyard w/views of Troon Mtn, salt water pool & spa built in 2015, BBQ & putting green. Built in storage cabinets & epoxy floors in garage.